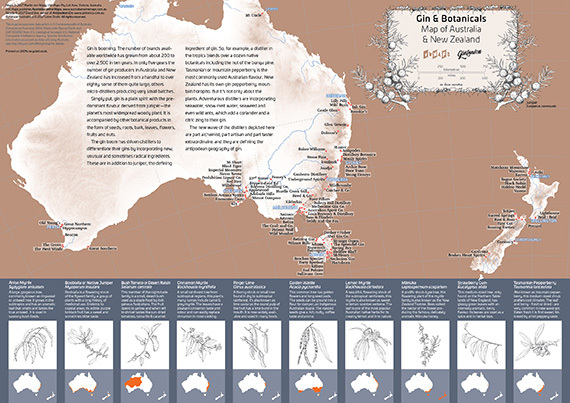 We’re thrilled to announce our newest map, “The Gin & Botanicals Map of Australia & New Zealand”. 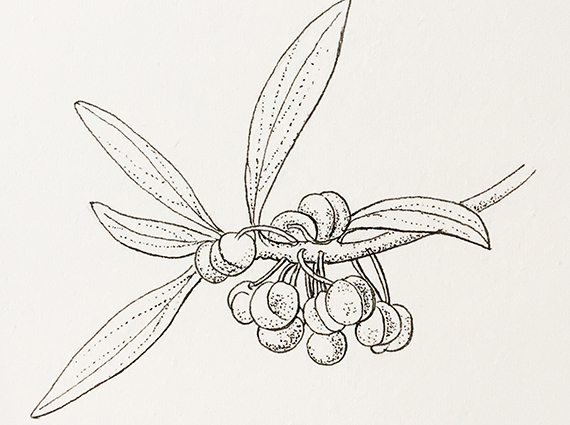 handsome drawings of native botanical plants by illustrator Liene Drulle. The map was printed on 100% recycled, 150gsm paper. The price of the map is AU$14.95 plus the cost of postage and packaging. Prices on the button below already include postage. Flat maps are posted in a tube, folded maps are, well, folded and posted in an envelope. Pay by credit card or Paypal, and we’ll be happy to ship them to you no matter what continent you’re on. One of the illustrations by Liene Drulle from the map. 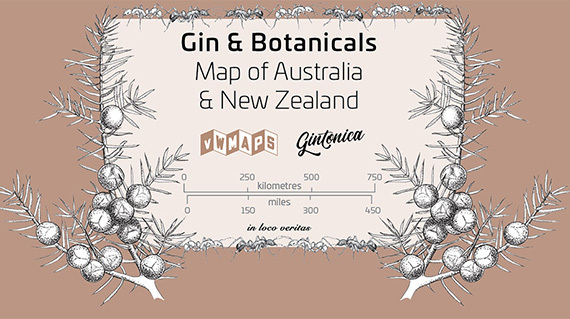 This ingredient grows in southeastern Australia and can be found in more than a few Australian gins: Tasmannia lanceolata.